Dstat provides valuable insights into Linux system performance, pretty much replacing older tools, such as vmstat, netstat, iostat, and ifstat. Want to do a quick performance check on your Linux system? You might want to take a look at the dstat command. 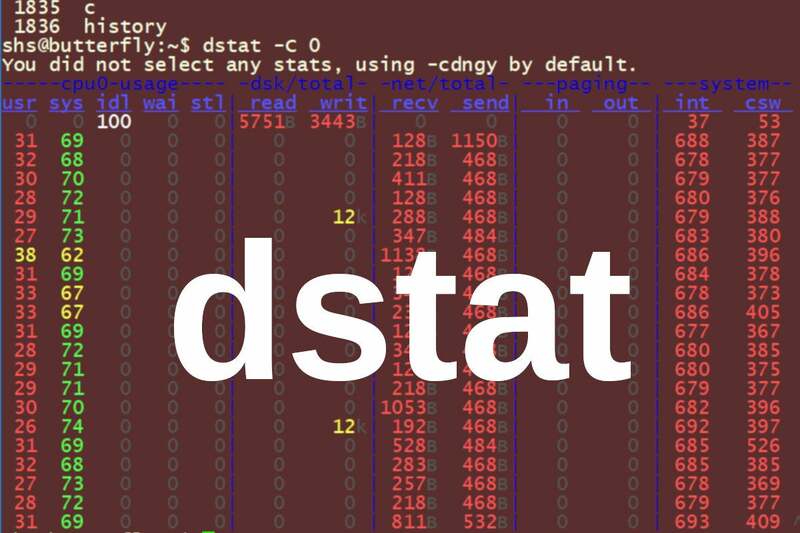 Dstat provides valuable insights into Linux system performance, pretty much replacing a collection of older tools such as vmstat, netstat, iostat, and ifstat with a flexible and powerful command that combines their features. With this one command, you can look at virtual memory, network connections and interfaces, CPU activity, input/output devices and more. In today's post, we'll examine some dstat commands and see what they can show you about your systems. The output of this command will look something like what you see below. In this "no options" approach, you can still set the timing for each interval in seconds and the number of intervals you want to see reported. If you don't specify the number of intervals, the command will continue running until you stop it with a ^c. In the output shown above, we saw evidence that the system being queried was fairly busy. No idle time was being reported; the CPU was spending all of its time between user and system tasks. Compare this with report, which shows the system is idle half the time. One key to becoming adept at evaluating system performance is to run commands like these periodically — even when you don't see the need to question how well a system is running. If you come to know what normal performance looks like for a server, you will have a much easier time spotting problems. "Cmdline:","dstat --output /tmp/stats.csv -a 2 5",,,,"Date:","19 Jul 2018 20:28:25 EDT"
As mentioned, dstat is a great tool for looking at just about all aspects of system performance. But another answer to this question is that it's a Python script and one you're free to peruse if you'd like to see how it works.